At Duncan Dental 1992 LTD patient care is our top priority. 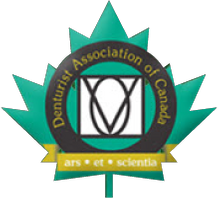 As a denturist serving Duncan and the communities in the Cowichan Valley since 1953, Robert is committed to providing the latest technology with personalized patient care. See what some of our satisfied patients have to say. Robert loves hearing from you; get in touch with us today. This partial you made for me is truly a marvel of dental engineering. It goes in nicely, fits tightly, comes out easily, chews properly and looks great. Many thanks for your kind care. As I told you, you gave me confidence. I am doing my best to keep that left anchor tooth clean, we will make it last as long as possible. Thank you so much for giving me such a beautiful smile. Also for your kindness, care and consideration, such a great team you are Robert and Dawn. Thank you once again. Would I Recommend an Implant Supported Denture? Yes! Robert Fortunat was the first that enlightened me about this type of implant. I took his advice and I am delighted with the outcome of the entire procedure. My smile is now BIG and OFTEN. I have no fear of movement with my denture. The fit is snug and secure and rarely does food get underneath. I honestly forget that I am wearing a denture. My only regret is that I didn’t do this 10 years ago. I went through the entire process without missing a day of work. No one knew I had the implants placed and wearing a temporary denture. My clients did comment that I was smiling more. Six months later after healing and shrinkage, Robert made the permanent denture for the implants. Wow! What a difference! This really works! I can chew! I can whistle! Now I smile, smile, smile. I would highly recommend this procedure to anyone. If Robert suggests this type of implant for you take his advice. Your teeth never need to worry or embarrass you again.